Cold but sunny here today. Your card really has the wonderland Wow factor. Love that blue embossing powder too. Hugs Mrs A. This is beautiful Sylvie, so soft and delicate - such a pretty card. This is a stunning card, Sylvie. Your aqua tones are so very pretty here! 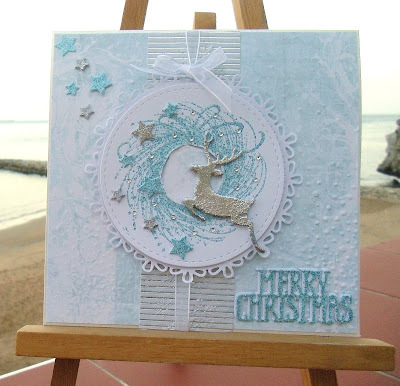 Such a lovely colourway for your card Sylvie,very frosty and festive, gorgeous !